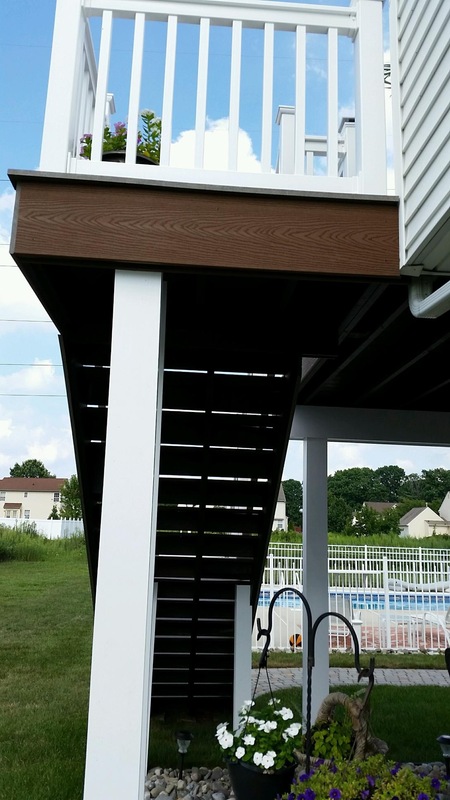 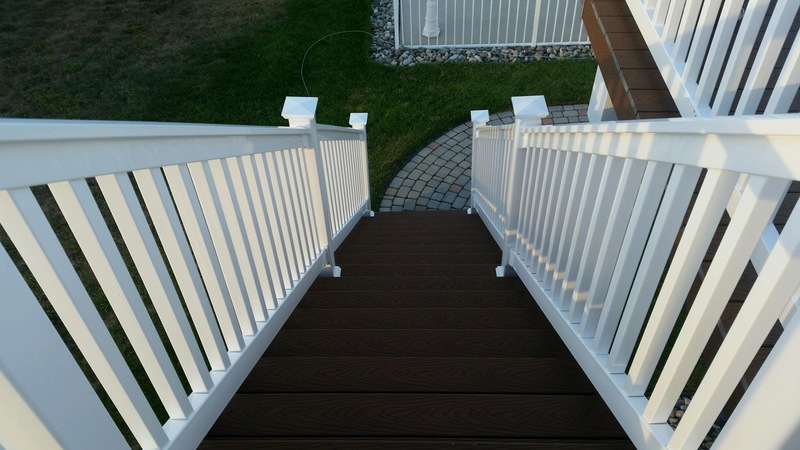 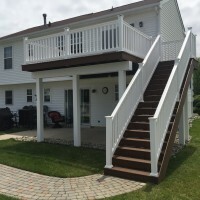 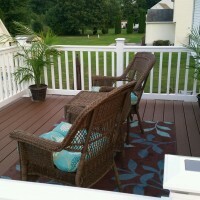 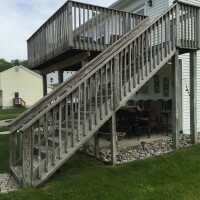 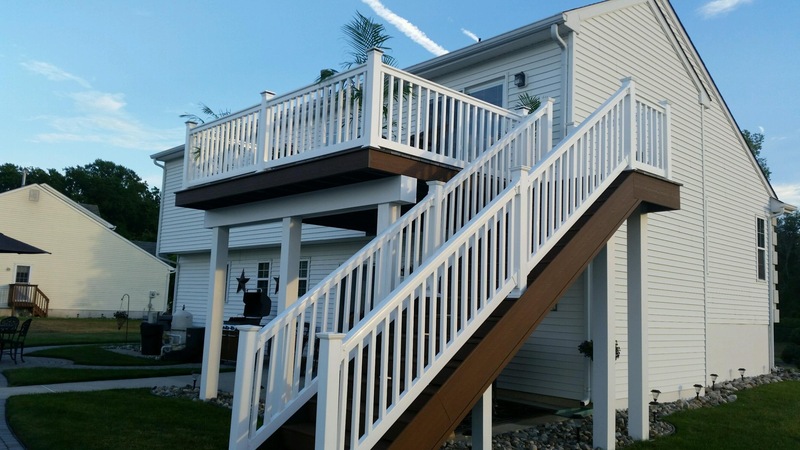 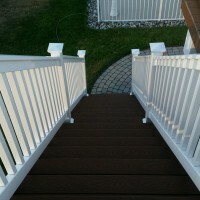 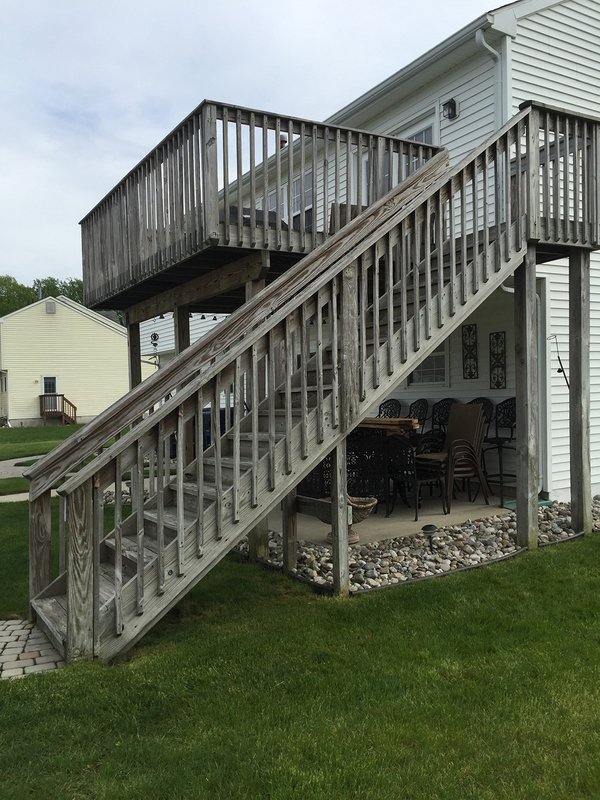 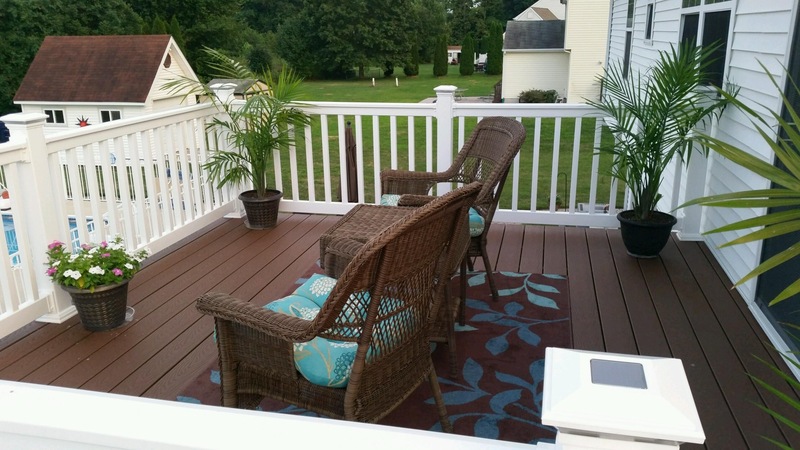 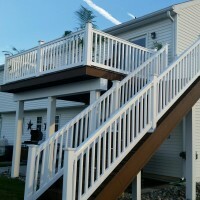 This deck required a huge transformation including removing all existing deck and railings. 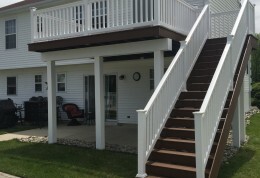 Installing a new patio slider door. 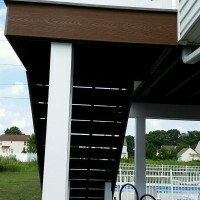 All new deck flashing. 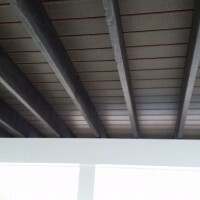 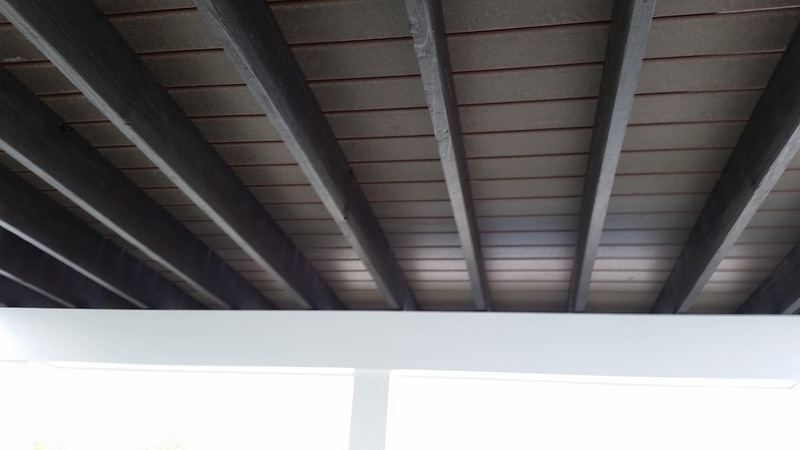 Painting all under deck framing to match deck boards. 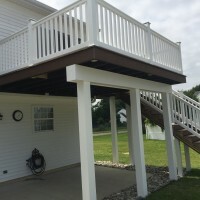 Installed new Trex decking, PVC reinforced railings, and Azeck trimmed columns and beams.